Uniquely better Point of Sale System in lower price. PRO version of Point of Sale System bundled with helpdesk support, bug fix and upgrades. Terminal license* for Visual FloorPlan Plugin. Terminal license* for additional Kitchen Display Software with helpdesk support. Can I migrate Menu items from Floreant POS to ORO POS? Yes. ORO POS can migrate items from Floreant POS ( 1.4 build 1707). Due to unsupported data types, some Database may not migrate automatically. Yes. We have a translation file that you can change and make it for your own language. Do I need to buy hardware from you? No. Purchasing hardware from us is optional. Our system will run on any operating system that supports Java 8. You will require 1024×786 or higher resolution display, at least Dual-core Intel processor, 4GB Memory, and 64GB hard drive. Certified hardware is listed in our hardware page. Can I use Floreant POS plugin in ORO POS or vice versa? No. Plugins are different. Even though they have similar names they are not compatible. How much is support fee for ORO POS. Nothing. You do not need to pay additional support cost. Helpdesk support is included. For any bug for issues, our support team will provide fixes and updates. You only need to pay for any remote access, on-site visit or phone support. License price is per terminal based. They are calculated monthly but paid Annually. What do you mean by a "terminal"? By Terminal we mean a computer or tablet running a single operating system. When the POS software starts it will show a terminal key. If customer reinstalls an operating system he can request a replacement license. A virtual operating system or multiple instances of the remote desktop protocol ( RDP) may show a separate terminal key and may require additional licenses. In case of Derby database copy the database folder in a safe place. Derby single and server DB are stored in database/derby-single and database/derby-server folders respectively. Postgres 9.5 users can use pg_dump command. You can also use pgadmin III tool. If you are using MySQL or MSSQL use backup tools provided in the database official sites. What is the office hour of support center? The support center is open M-F 9.30 AM – 6.00 PM and closed in USA govt. holidays. Does ORO POS terminal license include any plugin? 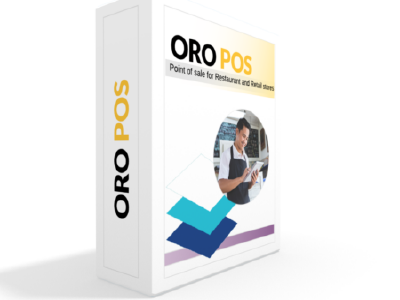 ORO POS terminal license only provides a license for the POS. You have to purchase plugins’ licenses separately.